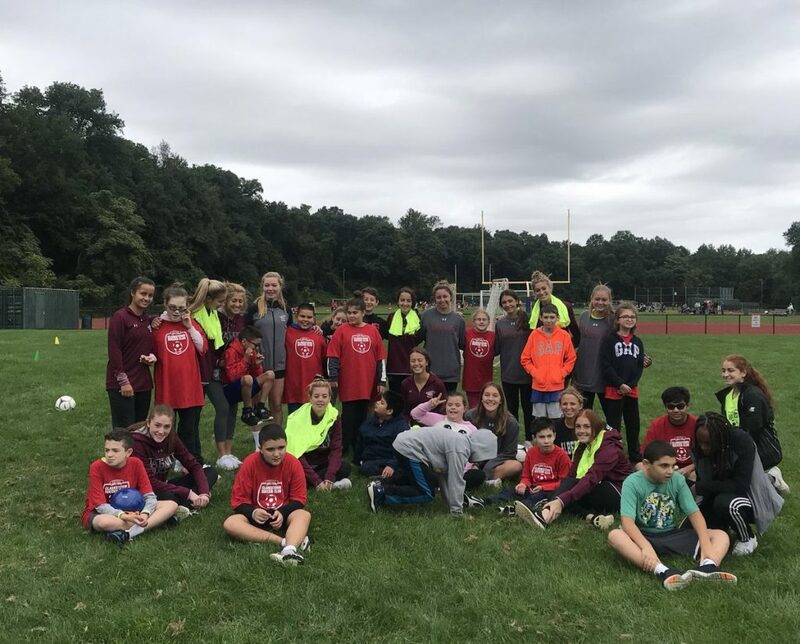 The Albertus Magnus Girls Varsity Soccer Team has been participating in TOPSoccer as a community service event, for now, the third straight year. US Youth Soccer TOPSoccer (The outreach program for soccer) is a community-based training placement program for young athletes with disabilities, organized by youth soccer association volunteers. Clarkstown Soccer Club, a 501(c)3 non profit, is the organization that runs the program through US Youth Soccer. The program is designed to bring the opportunity of learning and playing soccer to any boy or girl, who has a mental or physical disability. The program is not only a great opportunity for the young athletes with disabilities, but it is also a great way for my players to give back to the community.